Feed a Smile – and get your own Designing Worlds show! At the moment, there is an auction going on for Feed a Smile, organised by the Mad Pea group (the people behind all those fabulous games) at the Mad City. 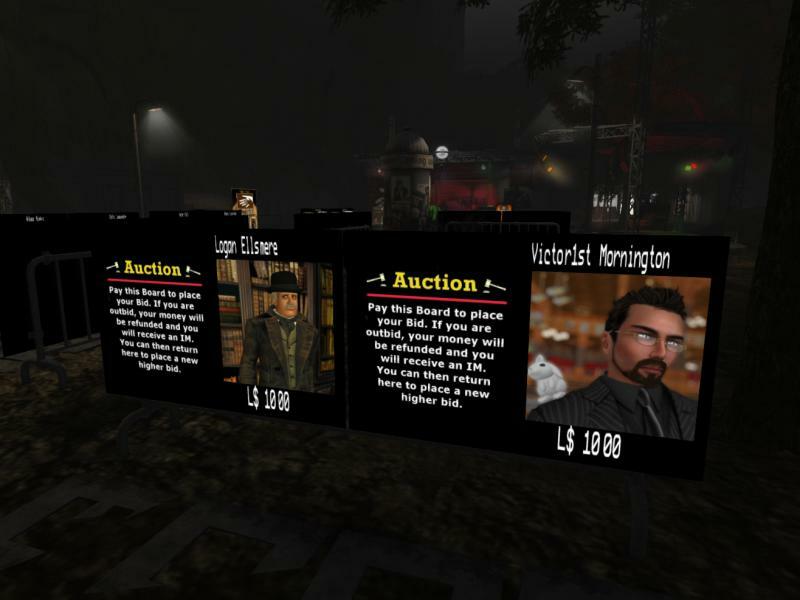 What’s up for auction is various Second Life personalities, some of whom are offering their company – but many of whom are offering their skill sets to those fortunate to win them. For example, you could have a portrait taken by Strawberry Singh, a pair of boots by Cutea Benelli, work on a collaborative 2D artwork with Taralyn Gravois or a photography lesson with Ziki Questi, or a variety of options from Victor1st Mornington – including converting a basic prim home into mesh. 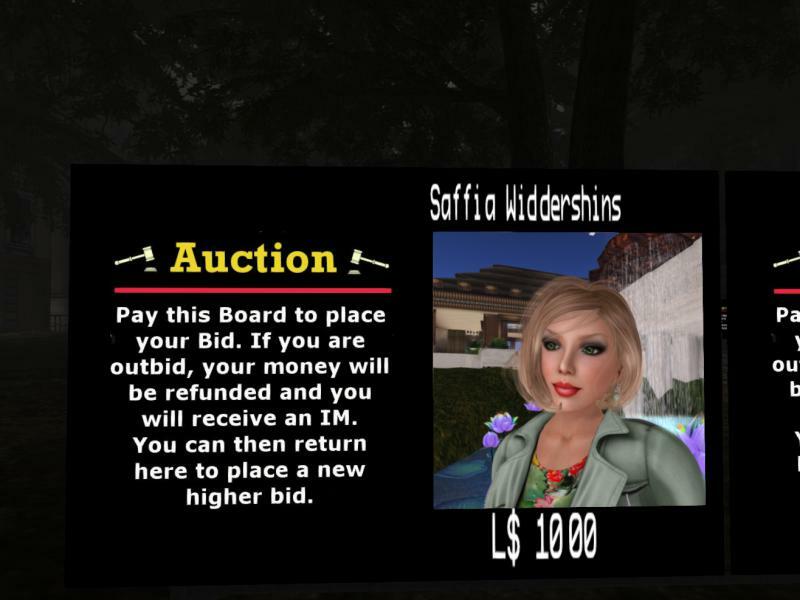 Also up for auction is me (Saffia) and – under his avatar name of Logan Ellsmere, none other than the the redoubtable Mr Biggins. What will you get for a successful bid on either of us? Mr Biggins up for sale! The winner will be able to nominate a building in New Babbage to be featured in a Designing Worlds show, or make a contribution to the script, or appear as a character (or possibly all three!). Please note that these shows tend to be Christmas specials – so it might be a little time before you can take full advantage of your prize – although we will try to do one earlier! And if you win the auction for Saffia? I would help them promote their favourite place in Second Life, either through an article in Prim Perfect or with a Designing Worlds show, depending on what they would like to feature! So if your bid for me is successful, you could have a Designing Worlds show (or a Prim Perfect article) about your favourite place or your organisation, or your business! 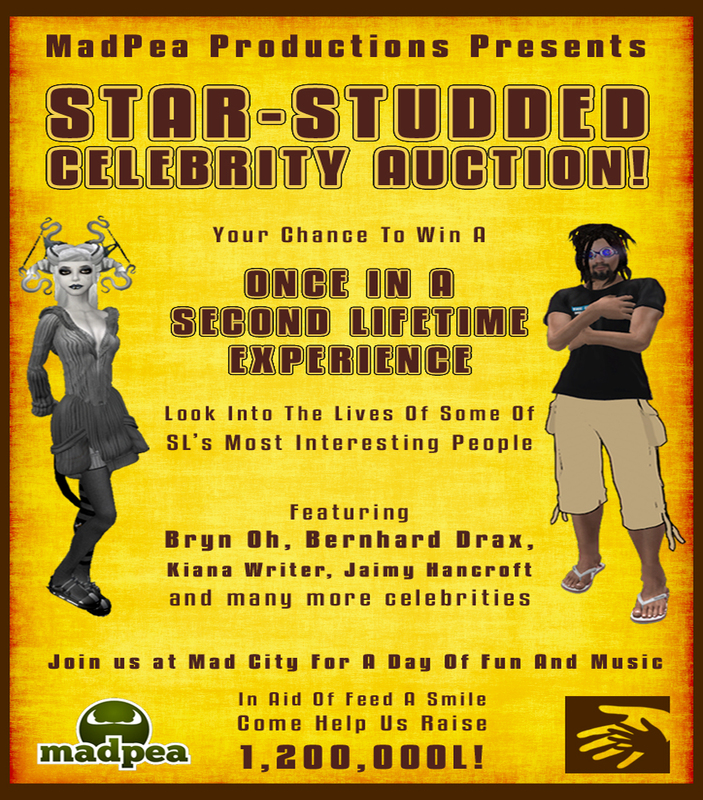 MadPea are hoping to raise over a million Linden through the auction. All week you can bid on the boards, and the event will finish on Saturday with a live auction and a day of entertainment! So come along and place your bid on the board! You can see more about the Live and Learn in Kenya International charity here (the charity behind Feed a Smile) – and there is a Drax Files show all about the charity here. You can also visit the Feed a Smile region in Second Life. Previous Post: Designing Worlds starts the new season with a visit to the beautiful regions of Obliette and Ode! Next Post: It’s a new season of Happy Hunting!